The most recent newcomer to the “tweetsourcing” space comes to us from Delft University of Technology in the Netherlands. 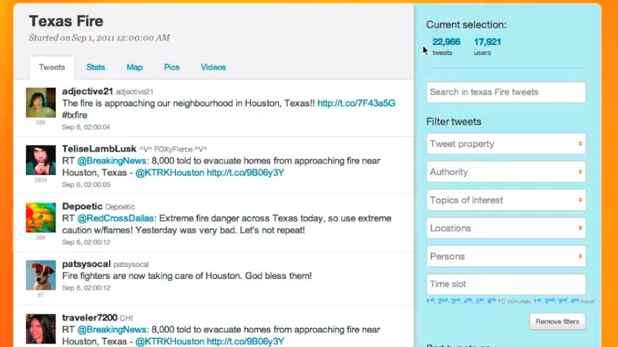 Twitcident is a web-based filtering system that extracts crisis information from Twitter in real-time to support emergency response efforts. 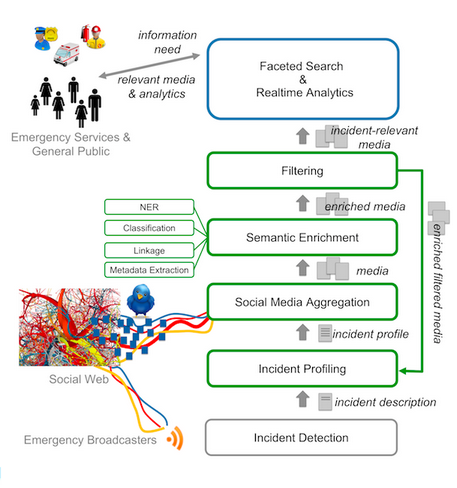 Dutch emergency services have been testing the platform over the past 10 months and results “show the system to be far more useful than simple keyword searching of a twitter feed” (NewScientist). Here’s how it works. First the dashboard, which shows current events-of-interest being monitored. Lets click on “Texas”, which produces the following page. 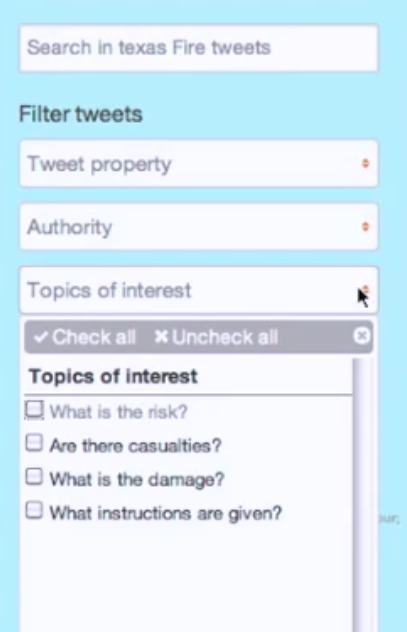 More than 22,000 tweets potentially relate to the actual fire of interest. The number of relevant tweets is reduced with every applied filter. 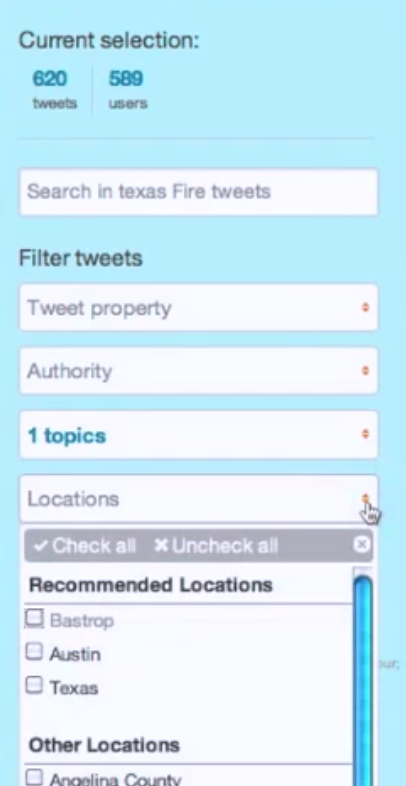 Naturally, geo-location is also an optional filter. 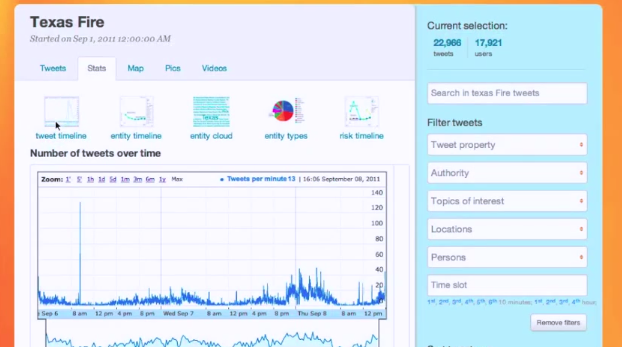 Twitcident also allows for various visualization options, including timelines, word clouds and charts. 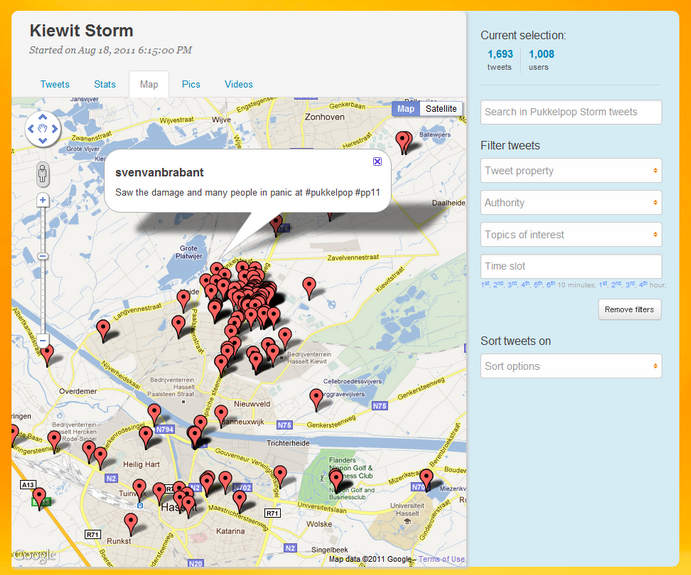 The system also allows the user to view the filtered tweets on a map. 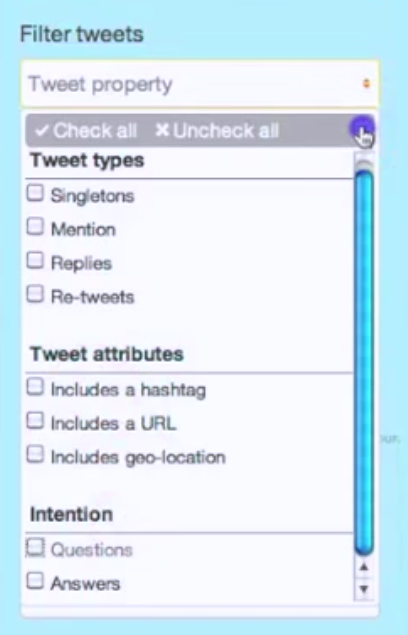 The pictures and videos shared via twitter are also aggregated and viewable on dedicated tabs. The developers of the platform have not revealed how their algorithms work but will demo the tool at the World Wide Web 2012 conference in France next week. In the meantime, here’s a graphic that summarizes the platform workflow. I look forward to following Twitcident’s developments. 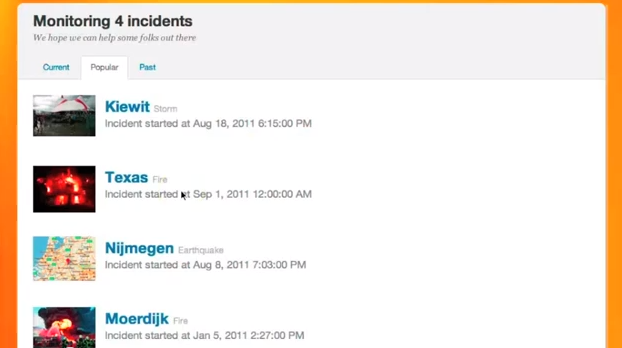 I’d be particularly interested in learning more about how Dutch emergency services have been using the tool and what features they think would improve the platform’s added value.